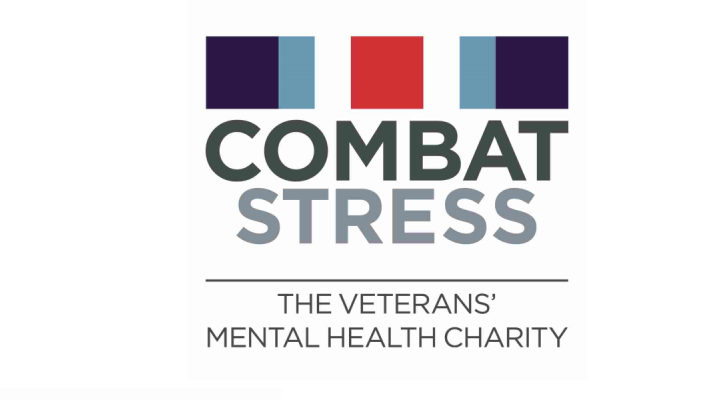 Team Challenge Company had the very great pleasure of working with team members from Combat Stress, The Veteran’s Mental Health Charity, delivering two fun and engaging days of team building at the stylish Carlton Hotel in Prestwick. The Team Building would take the shape of our ever-popular Crystal Challenge event, and focus on bringing staff from different areas of the organisation together to work on team work, getting to know each other and an increased sense of team spirit. There was certainly plenty of fun enjoyed by all over the two days, and an enormous amount of highlights for us to look back on – we’ve included some of our favourite in the paragraphs below, and would love to hear your ‘best bits’ in the comments section…! Our highlights reel kicks off on day one, where the 3 teams did battle for our much-coveted Team Challenge Company Winner’s Trophy across a range of unique and exciting team building challenges. The teams - named All for 1 and 1 for All, Vania’s Vixens and Alan 2, and 3-Be’s Angels – geared themselves up for the opening game of Crane Construction…which provided plenty of great teamwork to get us kicked off! Only 5cm separated the top two teams, where 3-Be’s attempt only reached 30cm…it didn’t even reach the table top!!! The big Crystal award went to Vania’s Vixens on this task, as the stormed off into an early lead. Further highlights followed on Day 1, with NASA Challenge proving a big hit…though it was certainly challenging for some! 3-Be’s Angels really came into their own on this one with a fantastic final score of 24, whereas All for 1 and 1 for All…well…if they really were on the moon they would still be wandering around up there trying to follow the ‘super important’ magnetic compass for directions…!!! That being said, they still managed to come in with a respectable score of 32, and gained themselves that all important Crystal! Our individual Nail the Wood challenge was tougher than most on day one, and saw plenty of big swinging misses, so no points really scored there unfortunately! As the Crystal Dome begin to whir and the golden tokens flew around inside, Lee, Alan and Phoebe stepped up to see which team would claim victory…! Lee was all over the place inside the dome, while Alan could only complain that there weren’t enough gold tokens in there to find. Phoebe, on the other hand, did not mess around, and after an initial blip (and small bit of cheating), she straightened herself out with a remarkable Dome performance! When all was said and done, and the final tokens counted in, it was All for 1 and 1 for All that stepped up to claim the Wooden Spoon for their last place finish, closely followed by Vania’s Vixens in second place. However, stepping up to be crowned champions were the mighty 3-Be’s Angels, who turned their poor start around to record a sensational finish and take home the Winner’s Trophy…legends! Day 2 kicked off in equal style, as our 3 teams – Team 1-derful, The Number 2 Jobbie Weecha’s and Team Trinity – got ready to duke it out for crystals throughout the afternoon and bid to have the most amount of time inside the Crystal Dome. Crane Construction on Day 2 proved even closer than Day 1, and though The Trinity’s `136cm was impressive; the top 2 performers recorded astonishing 170cm and 171cm respectively. The top spot went to Team 1-derful, as Brian gently wound their weight higher than many thought possible – what an effort! The Puzzles and Giant Labyrinth proved as difficult on Day 2 as it did on Day 1, failing to yield any crystals, however it was on the Individual Challenges that some of our guests really shone! Moshe was unstoppable on the Hole in One task, scoring an incredible 2 out of 3 hits…wow! Yvonne and Rozi teamed up to amazing effect on the Giant Buzz Me, and were able to complete the course together, but nothing compared to Lisa from the Jobbie Weecha’s…who managed to go all the way along the wire from start to finish unaided…it was the most intense thing we have ever seen…well done Lisa! Bridge Build on Day 2 was out of this world, and Team Trinity’s bridge left a lot (I’m talking A LOT!) to be desired, whereas the Jobbie Weecha’s performed sensationally, and were the only team to cross the void successfully! It set us up for a grandstand finish inside the Crystal Dome, as Brian, Moshe and Maureen got themselves geared up for the grand finale! When all was said and done and the fans finally came to a stop, there could be only one winner…but first up to collect the Wooden Spoon was Team Trinity, scoring 120 points inside the Dome…a valiant effort! They were just pipped into last place by Team 1-derful with 140 points, but the big winners on the day were the Jobbie Weecha’s, scoring and unbelievable 440 points inside the Dome and lifting the Team Challenge Company Winner’s Trophy aloft! A fantastic two days of team building had been thoroughly enjoyed by all in attendance, and we really hope everybody left the Carlton Hotel feel re-energised and ready to work together for the future successes of Combat Stress! A big thank you must go to Tracey for all her hard work and efforts in organising the two days of team building – it was an absolute pleasure to work with you all across both events, and we really hope to have the opportunity to see you all again in the future for the re-match!